Through hands-on exercises, participants learn how to plan and implement activities that use the arts and humanities in cross-curriculum multidisciplinary teaching. Participants can work on designing innovative ways to present existing curriculum, creating thematic units of study to integrate subject areas, reaching core curriculum content standards in a variety of areas, and/or designing effective alternative assessment methods. Call us to design the program method that best meets your needs. Design Your Own Course: Providing the tools teachers need to substantively change their practice can take more than a one-day workshop. Call us about designing your own Creative Teaching Techniques and Assessment course for optimum success. 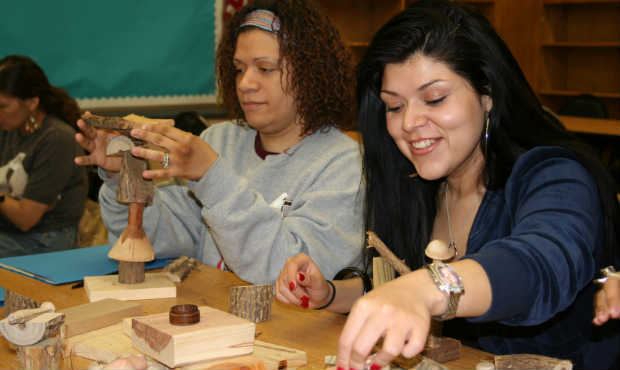 We can pair professional development with an artist-in-residence and provide the modeling, reflection, practice, and support needed to truly infuse the arts into your school’s curriculum. Call for pricing.